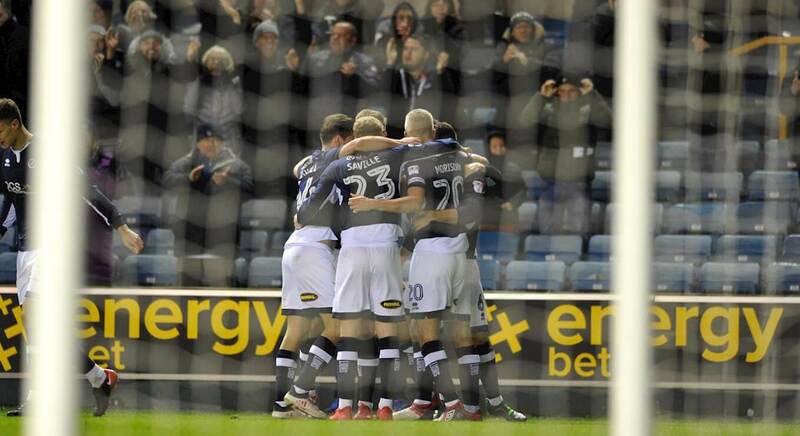 Millwall came from behind to win 2-1 at the New Den against Sheffield Wednesday to take them up to the heady heights of 11th place in the Championship. Two second half goals from Lee Gregory and Steve Morrison were enough to turn the game around following the Lions going into the half time break a goal down after Wednesday had dominated large chunks of the first half. Millwall came into the game with forward Aiden O’Brien sidelined with an ankle problem and defender Byron Webster still a long-term absentee with knee trouble. January signing Harry Toffolo is still awaiting his debut while veteran Australia forward Tim Cahill is building up his match fitness. Although the visitors also had their problems with Wednesday striker Jordan Rhodes missing the game due to illness and he is probably one of Wednesday’s stand out players so a massive loss for the visiting team. Once more the Lions allowed the away team to dominate possession, a common theme at the New Den this season. Incredibly Wednesday had almost two thirds of the possession and yet could only manage one shot on target in total as Millwall’s back four really have turned into a solid defence. Almost a nil wall! The Lions on the other hand had 12 shots in total of which four found the target and more importantly 2 found the back of the Yorkshire teams net. With this victory Millwall moved up to nose bleed territory this season as they sit nicely in 11th place with all thoughts of relegation now out of the Londoners nightmares. Dare I mention that the Lions are on such a good run that they are only 8 points off of a play off place to the Premiership. OK maybe it’s a fantasy but Neil Harris’s men have done a brilliant job so far in 2018 and are shared on 45 points with Leeds United, Ipswich and Norwich City. All three teams were not in action tonight so Millwall leapfrogged all 3 on a superior goal difference. Millwall had been winless in eight league matches against the Owls (D3 L5), since a 2-1 win as far back as September 2005. Also both teams had found the net in each of the last seven league meetings, with no goalless draws between the teams in league competition since December 1947 so it was likely to be a scoring affair. However the game was far from easy as Sheffield Wednesday led at half time thanks to a Joey Pelupessy goal. He cut in from the left hand side and produced a sweetly struck shot to give the visitors the lead two minutes before the interval. But Neil Harris’ side responded, first through Gregory’s close-range header in the 52nd minute and then just nine minutes later, Morrison turned in Jed Wallace’s cross from the right to turn the game on it’s head. 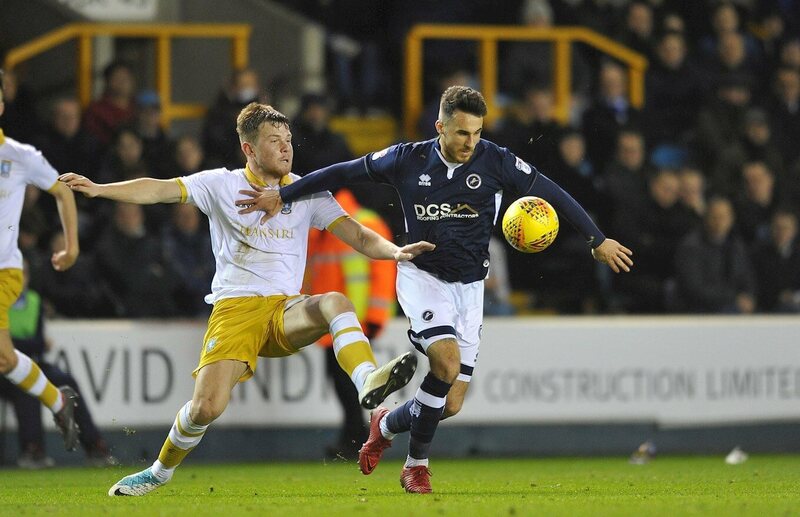 There were 13 minutes of stoppage time after Wednesday’s Jordan Thorniley was stretchered off in the second half, but Millwall saw out victory to extend their fine unbeaten run in the league to seven matches. Striker Lee Gregory sparked the turnaround as he headed home from close range after Jake Cooper turned a free-kick from the right back across goal. Jed Wallace then won the ball on the right hand side of the penalty area and slid his pass across the six yard box to Morrison, who turned in for his third goal of the season. Wednesday haven’t won this year and are without an away win since Boxing Day and have just one league victory since manager Jos Luhukay was appointed at the start of January. The Owls flap uneasily in 16th place after this defeat. The Lions are now unbeaten in their last 7 league games with four wins and 3 draws and they last went on a longer run without defeat in the second tier back between March and August 2014 (11 games). This win showed the Lions have the bottle for coming back from a hostile situation and this was another fine example of the discipline particularly in defence that the team now show.